The Senate gave final approval Friday to a bill that would raise Vermont’s minimum wage to $15 per hour by 2024. 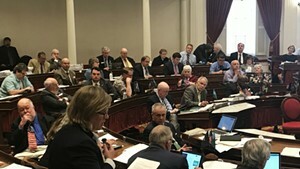 Supporters of the proposal called the vote a victory for working Vermonters and said the bill would have long-term benefits for the state’s economy. If the House passes the proposal and Gov. Phil Scott signs it into law, employers would be required to increase hourly pay every year through 2024. The first increase would come January 1, 2019, when the minimum wage would rise from $10.50 to $11.50 an hour. The legislation passed the Senate by voice vote Friday. It first cleared the body on a 20-10 procedural vote Thursday, indicating that supporters could override a gubernatorial veto — at least in the Senate. The bill’s lead sponsor, Sen. Michael Sirotkin (D-Chittenden), said it would help reduce income inequality in Vermont. “Despite whether you’re a Republican, Democrat, independent, I think everybody acknowledges and everybody agrees that we have great problems with income inequality in this state and in this country and in every corner of this state,” Sirotkin said. 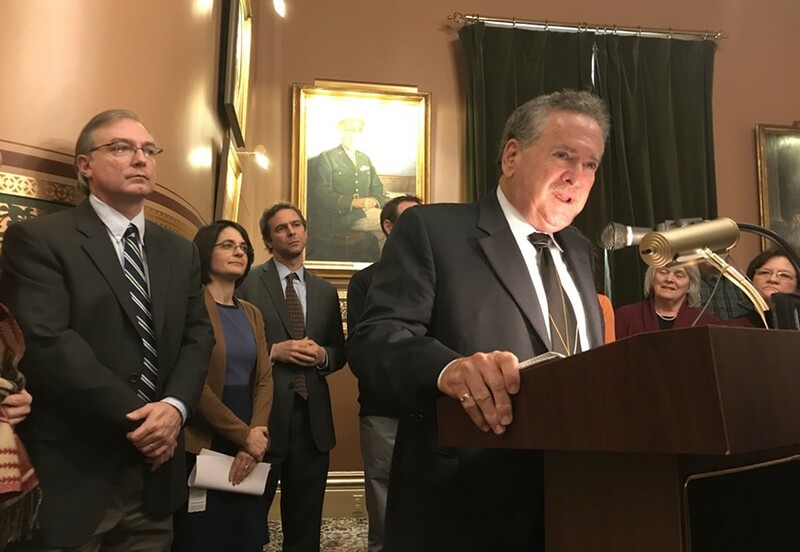 At a press conference after the Senate approved the bill, Majority Leader Becca Balint (D-Windham) and Senate President Pro Tempore Tim Ashe (D/P-Chittenden) joined Sirotkin in praising the the legislation as an economic boon for the state — and especially for low-income families. Sen. Rich Westman (R-Lamoille) voted against the bill. He said a mandated increase in wages would push families off of the so-called benefits cliff, raising household incomes above the eligibility threshold for public assistance programs. To explain his no vote, Westman pointed to a report from the legislature’s Joint Fiscal Office. It said a couple working full time in minimum wage jobs with one school-aged child would see its annual income increase by $1,155 in the first year of proposed minimum wage increases. That same couple, however, would lose $1,334 in benefits. Gov. Phil Scott also has concerns about the bill's impact, though his are more focused on businesses and job growth. Spokesperson Rebecca Kelley said Friday that Scott opposes the version of the bill passed by the Senate. “The administration remains focused on efforts that will increase wages organically through a stronger economy, and making Vermont more affordable so Vermonters keep more of what they earn,” Kelley wrote in an email to Seven Days. Sirotkin said the Minimum Wage Study Committee already considered the benefits cliff issue and the bill's impact on businesses. “We spent a great deal of time assessing every little and big state and federal program that people who are at the minimum wage may be tapping into presently,” Sirotkin said, adding that the increased tax revenue generated by higher wages in Vermont could pay for more financial assistance for families that continue to struggle after the wage increase. Ashe said critics of the bill are focusing on small downsides but missing the wider impact of a higher minimum wage. Speaker Mitzi Johnson was unavailable Friday afternoon to comment on the bill's chances in the House.